PM Modi marked Gandhi Jayanti by appealing to the nation to make ‘India Clean’. 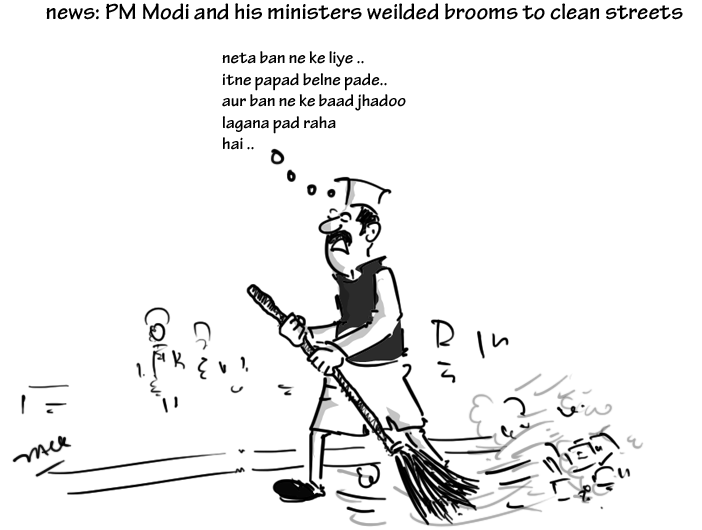 He and his ministers took the broom in their hands to launch the ‘ Swachh Bharat Abhiyan’. 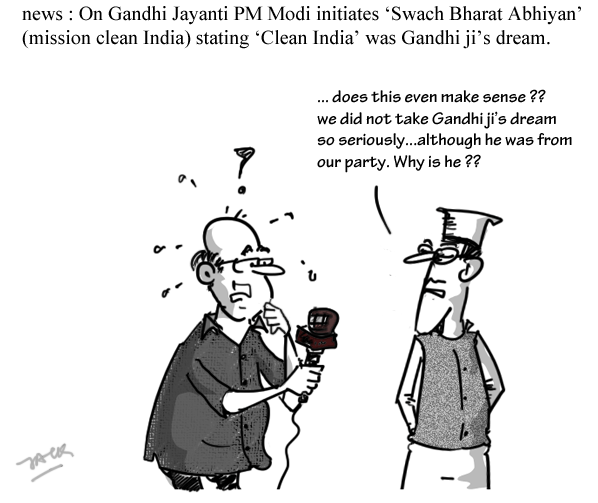 PM Modi in his speech said it was Gandhi ji’s dream to see ‘ clean India’ . 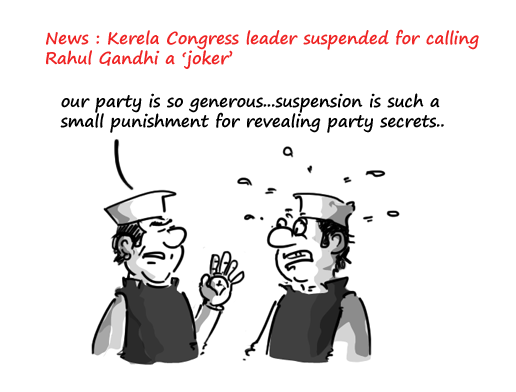 TH Mustafa, senior Congress leader from Kerela has been suspended for calling Rahul Gandhi a ‘joker’ and blaming him for Congress’ defeat. Political Speech Battle. Modi Vs All? From Mani Shankar Aiyer’s ‘Chailwala‘ statement against him,to Imran Mosood’s ‘we’ll cut Modi into pieces‘ to Priyanka’s ‘neech rajniti‘ comment , Modi has capitalized all these statements in his favour of his political campaign. 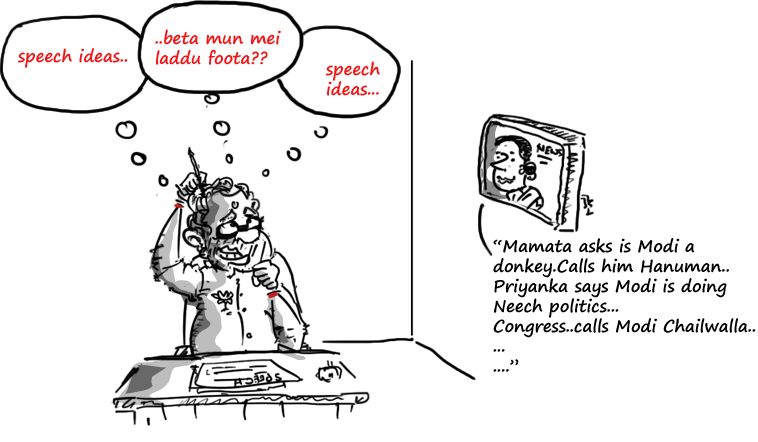 Now,its TMC supremo Mamata Banerjee who has been counter-attacking Modi in rallies referring him as ‘Hanuman’ and donkey and Modi is heard taking a dig on her statements. No matter, whether Modi wins 2014 elections or not,there would be no denying that he has been a sharp listener, deep thinker, clever speaker and a politician in its true sense. In a short tv speech , Sonia Gandhi,the Congress President is seen appealing to the people of India to defeat the ‘divisive and autocratic forces’ in the nation. She attacked the BJP by claiming their vision is clouded with hatred and falsehood. Looks like , its little too late now. 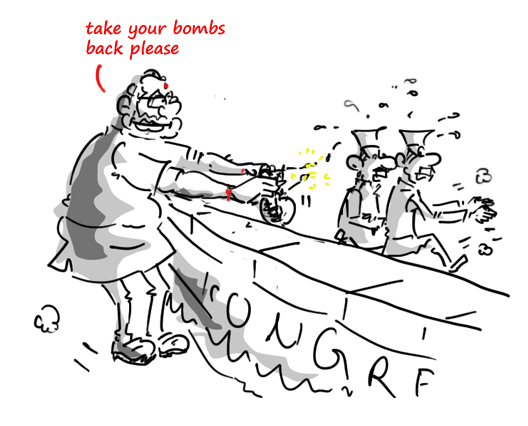 Had it not been better Congress would have worked all this while ?? 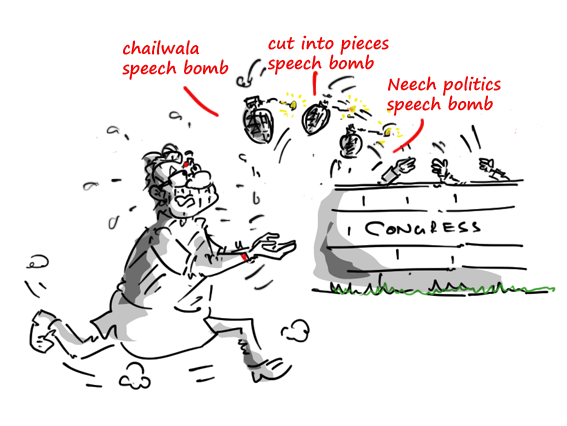 Will this last minute appeal really work for Congress ?? After a criminal case was registered against Imran Masood,Congress’ Saharanpur candidate,and he was arrested for his hate speech against Modi,Rahul Gandhi’s Saharanpur rally was cancelled. Imran Masood has stated he would chop Modi into pieces and that Gujarat has only 4 percent Muslims but Uttar Pradesh there are 42 percent Muslims. When questioned,Imran said all he meant was he would teach Modi a lesson and that he would say sorry only after Modi says so for 2002 riots in Gujarat.The Congress party seemed sidelining itself from Masood’s controversial remark to the extent that Rahul Gandhi who was scheduled to address a rally in the area cancelled his visit. 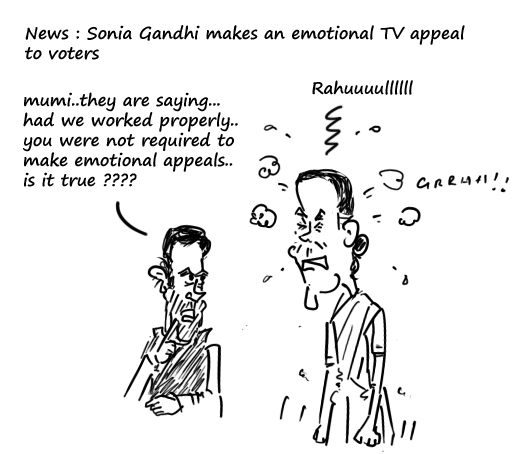 Who knows,the party cadres might be feeling at ease after Rahul cancelling his visit. 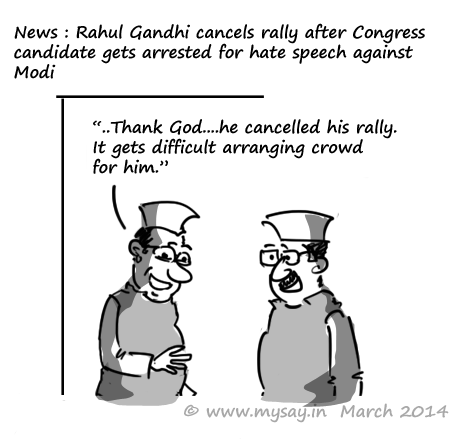 After all, its a tough ask to gather crowd for Rahul.